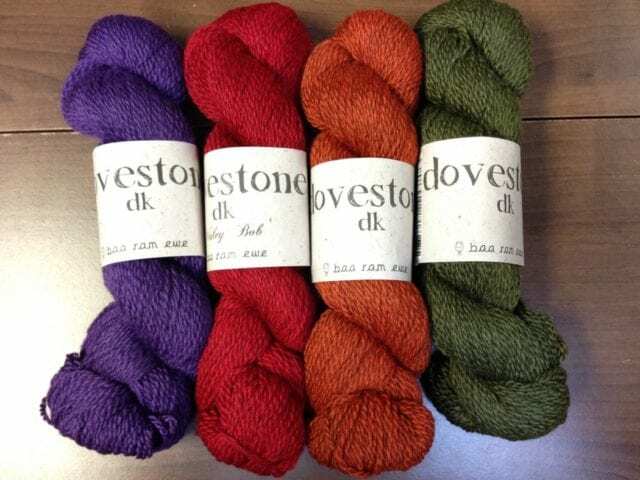 Dovestone DK: new colors, Yorkshire Shores, show and tell. Our recent shipment from Baa Ram Ewe contained more than just the new Dovestone Natural Aran. 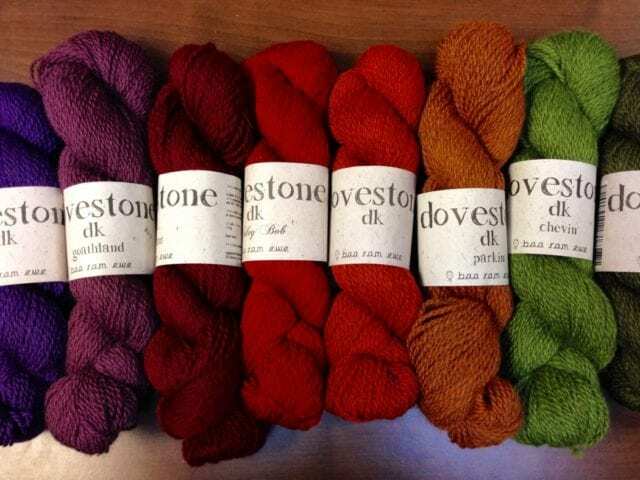 We also got four new shades of Dovestone DK, a blend of masham, wensleydale, and bluefaced leicester wools. Playful red, orange, and purple brighten up the palette, while a mossy green fills out the selection of darker shades. 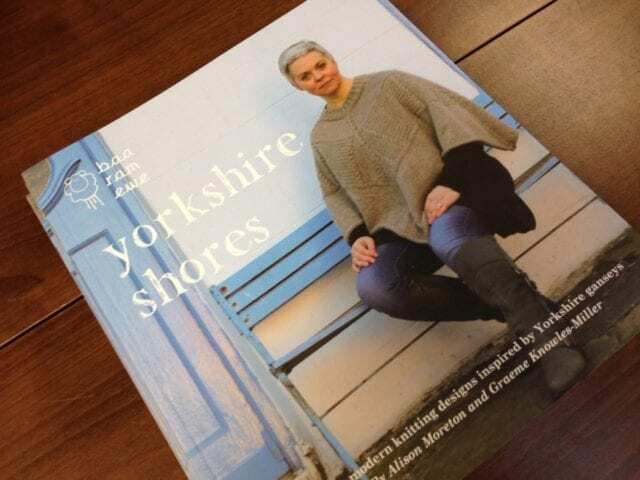 We also got a beautiful new book from Baa Ram Ewe called Yorkshire Shores, filled with gansey-inspired garments and accessories knit in Dovestone DK. 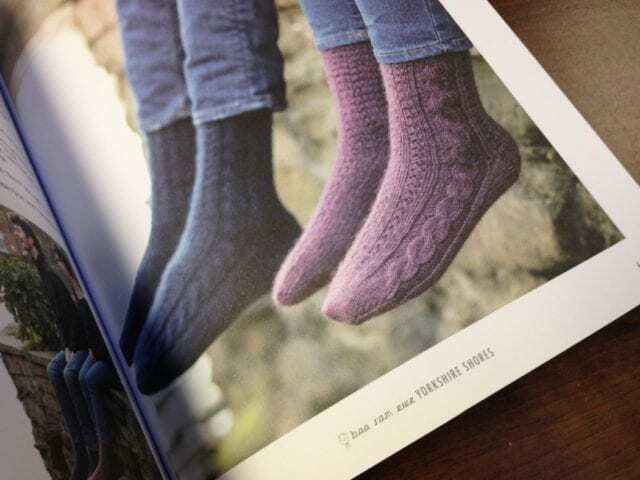 Between Yorkshire Shores, Carol Feller’s Dovestone Hills, the Landmark Collection and Dovestone Smallholding, we are bursting with uses for Dovestone DK, a yarn that has become a real favorite of ours. In fact, Anne and I both recently finished projects with Dovestone DK. 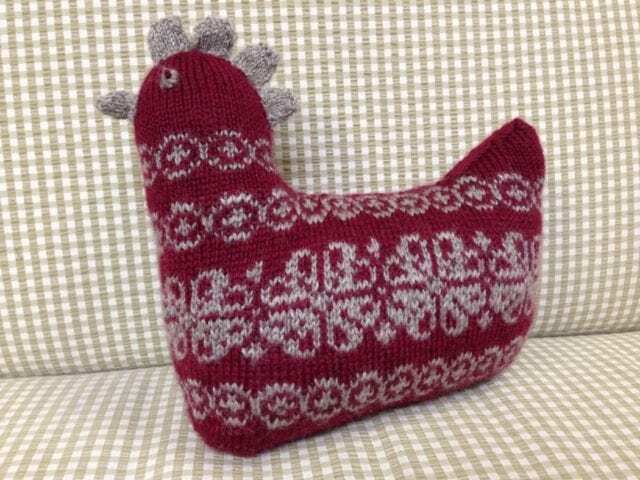 Here’s Anne’s “Fancy Hen,” a gift for her youngest granddaughter. You may recall that I knit one last year as a gift for my niece; this is such a fun pattern that I’d like to knit another. I love the colors Anne chose for her hen! 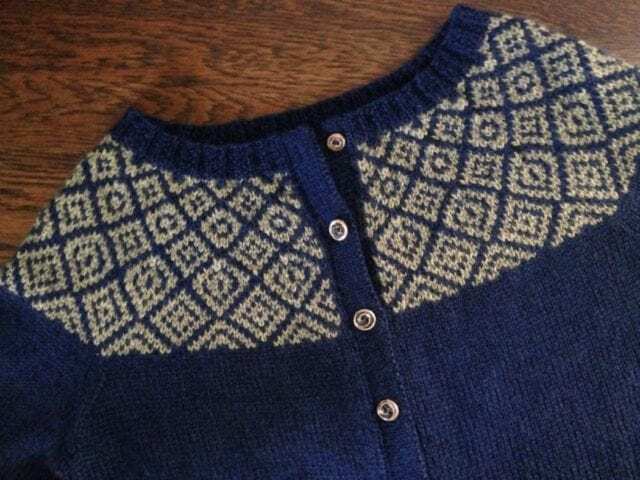 My own Dovestone DK show-and-tell is “Epistrophy,” a cardigan from Kate Davies’ Yokes. I’m so pleased with this sweater. 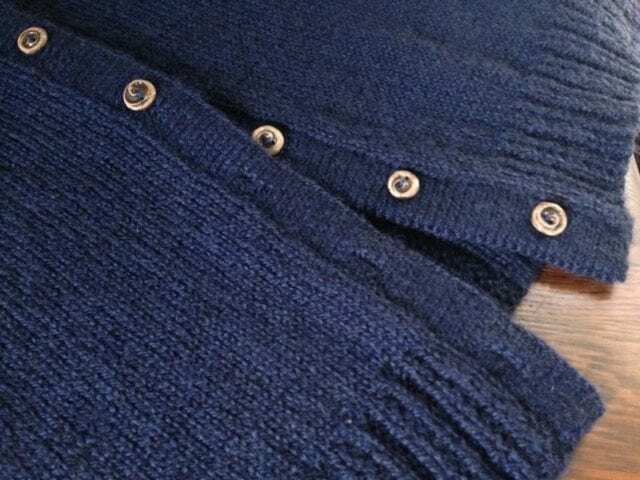 The yarn was a delight to work with, every stitch, the pattern well-written, and the construction of this sweater and sweaters like it is one I always find so satisfying to execute: bottom-up, in the round, looking forward to the fun colorwork all along, then finished with a steek and special buttons. 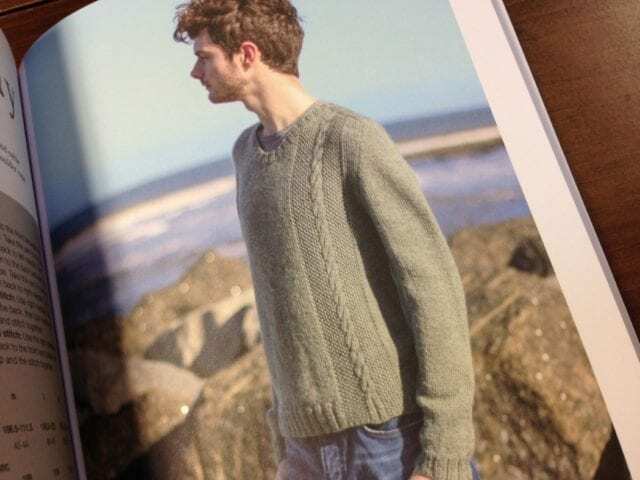 Come by the shop to get a closer look at Dovestone DK and all the patterns and books that go with it, and as soon as the weather cooperates, you’ll find me there with this sweater on. See you soon!